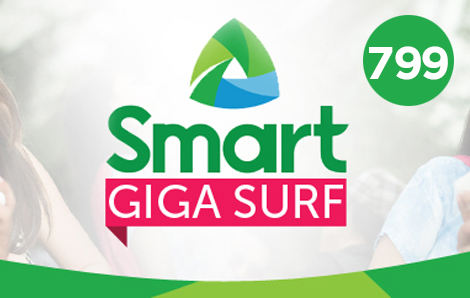 Smart Prepaid Giga Surf 799 is now loaded with 4.5GB of mobile internet surf and 1.1GB FREE use of Spinnr, YouTube, DailyMotion, Dubsmash, iFlix, Vimeo, and Pokemon Go which is all valid for 30 days. Plus a FREE subscription on iWant TV good for 7 days. All you need to do is to load P799 text GIGA99 send to 9999. Please see below for details.